Chances are you've heard the term SEO, but are you leveraging it's power to grow your business? Put simply SEO stands for “search engine optimization.” It is the process of getting traffic from the “free,” “organic,” “editorial” or “natural” search results on search engines. And with the average American spending 24 hours online each week, it represents a huge opportunity to engage with potential customers & clients to help you grow your business. Join us for an insightful webinar with Jerry Cahalan, CEO of ClickGiant, an internet marketing firm that specializes in SEO to help businesses gain more clicks, more conversions & more customers..
What are the basics that every entrepreneur should know about SEO? How does content driven SEO work & how will it help grow your businesses? Learn the 6 steps of successful SEO content marketing. Case studies of very successful women-owned businesses who have used SEO to grow. We'll dig into all this and more with Jerry Cahalan, the founder and CEO of ClickGiant, an internet marketing firm that specializes in SEO. Over the last 20 years, Jerry has worked with many great brands, including Bits of Lace, Victor Barbone, Scout Boats, Nectar Sunglasses, D.R. Horton, KB Homes, McDonald’s, HUK Gear, Nomad, Vintage 1946, Units Portable Storage and more across a range of industries. When not working, you’ll likely find Jerry in his ‘66 Ford Fairlane, on his ‘79 BMW, whipping his 11 year old son on the basketball court or pretending he’s a fly fisherman. This event is open to ALL and will be hosted LIVE, so bring your questions for the Q&A with Jerry. We'll also make a replay available after the webinar ends, but you must register before the event happens to get access! This webinar is just a taste of what you'll experience inside the Hatch Tribe Members Circle. 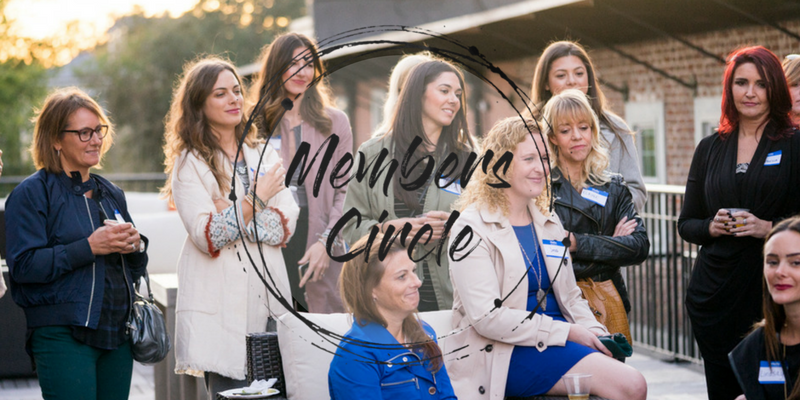 Access to a robust network of women entrepreneurs for advice, connections, referrals, and more! Become a member today for only $34.99. Cancel anytime if you decide it's not right for you. Click here to sign up!